1. Your manager was sacked this tuesday, what has been the problem this season and do you think that the club made the right decision? Sacking managers is part of life at Swansea City, we have had nine managers in the last 10 years. Paul Clement deserves a lot of sympathy. He worked a miracle last season when he kept us up after the disaster of Bob Bradley’s reign. He achieved safety by building a very effective system around Gylfi Sigurdsson and Fernando Llorente but both of those players were sold in the final two weeks of the summer, leaving little time to get replacements. Sigurdsson’s loss has been very difficult for the side. Clement has tried many different formations but none have worked. The football has been awful to watch, we struggle to create chances for our strikers and the results have been poor. Three wins all season has resulted in a total loss of confidence, the players do not look like they want to play. The current situation is not entirely Clement’s fault but the harsh reality is that he has run out of ideas and will not keep us up this season. We need somebody new in just to motivate the players and get them enjoying their football again. 2. What kind of manager do you want now? That is a difficult question. There are two clear options. Either we can get an old-fashioned manager to keep us in the league or we can look for somebody more radical in an attempt to change the playing style and transform the club back to the one we once had. Tony Pulis would give us a decent chance of avoiding relegation but his football is horrible to watch and he is not good for the long-term development of a club. He would not address any of the deeper problems at Swansea. Other options being mentioned are Frank De Boer, who has failed spectacularly at his last two jobs, Slaven Bilic, who looked to have fallen out of love with the game at West Ham, Slavisa Jokanovic, who has never managed in the Premier League but plays a very entertaining style of football and Aitor Karanka, who plays the most negative football imaginable and took Middlesbrough down last season. The other option is to give it to club hero and current caretaker manager, Leon Britton. But many fans are scared that Britton is not ready to be manager and could harm his hero status if things go wrong. The options are not great. I would probably go for Pulis but I hate myself for thinking that. 3. What do you think you need to do to stay up this season and what needs to change in the coming years for you to not be involved in the relegation battle in the future? January is a huge month for us. We need a creative midfielder to replace Gylfi Sigurdsson to have any chance of staying up. We also need at least one good winger. Whether Swansea stay up or go down, this summer needs to be a summer of change. Sigurdsson’s departure prevented any big changes last summer and it has cost us. I also feel the way the club is run as a whole needs to be changed. The new American owners need to learn that running a Premier League football club is very different to running any other kind of business. Our chairman Huw Jenkins is also deeply unpopular among fans and his recent record of buying players has been poor. The fact Swansea keep getting linked with former players and players we have chased for years, confirms our scouting department is not doing a good enough job. The club is in a mess at the moment and it needs to be changed at all levels. 4. 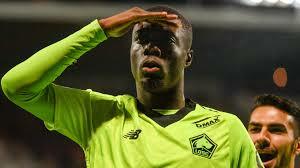 You signed a few players this summer, tell us a bit about how they have played? We strangely bought three central midfielders in the summer, despite the fact it was not a huge problem area last season. All three have had difficult starts to life at Swansea. Our most high-profile signing was Renato Sanches, who has been a disaster. He cannot pass a ball and has lost all confidence. Everything he does is wrong and he looks a completely different player to the one at Euro 2016. Sam Clucas was our record signing, a very strange move from the start. He too has been a disaster. He has been played in several different positions and has looked terrible every time he has played. I have never been a fan of Clucas but he has surprised me how bad he’s been. Roque Mesa has actually played well when he’s been given a chance but Clement clearly did not like him and has only started selecting him very recently, very strange. Our other two signings have done well in difficult circumstances. Tammy Abraham is very young but already looks like a brilliant striker. He works hard, has skill and gets into good areas to score goals. If only he had better players around him to supply him with chances. Wilfried Bony has started regaining his old form recently and is as strong as a bull. Sadly injuries keep taking him out of the team just when he starts looking good. 5. Who is your player of the year so far? 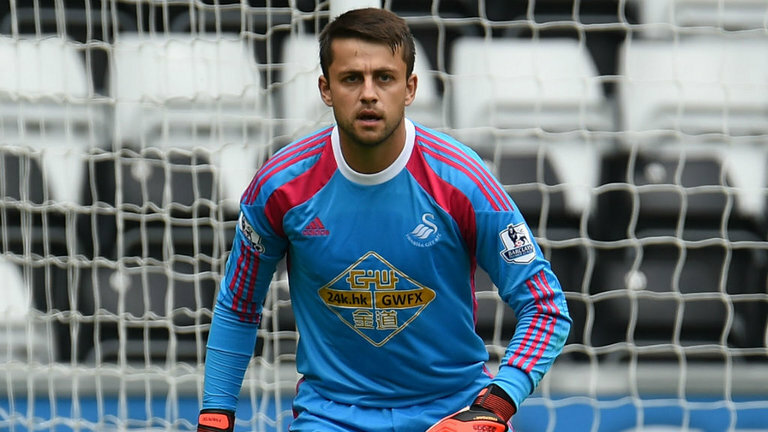 There are very few options but I will go for Lukasz Fabianski. It says a lot when your goalkeeper is your best player. Without him we would be in a much worse position. Ederson at Manchester City and David De Gea at Manchester United have been this season’s stand-out keepers but after them I think Fabianski has been the best in the league. It is not just his saves, he commands his penalty area as well as anybody and is the best in the league at dealing with crosses. If everybody in our side was as reliable as Fabianski we would not be where we are today. 6. How do you think you will lineup against Liverpool and what kind of game do you think we will see? I don’t even know who our manager will be, so it’s very difficult to know how we will line up. I imagine it will be defensive, and because Wilfried Bony is once again injured, we will have to play with just one striker. Apart from that, I really don’t know. Liverpool will be big favourites and I cannot see how we can get a win at Anfield, but I said the same thing last year and we ended up winning 3-2 in a game which helped transform our season. I am hoping for a similar surprise this season but I am not confident. 7. Finally, this game is on boxing day, what is your favourite memory of a game on boxing day? I have very few happy memories of Boxing Day, we do not tend to play well on this date, perhaps the players enjoy Christmas too much. I will go for our 4-1 home win against Cheltenham Town in League 1, a decade ago in the 2007/08 season. That was an incredible season under Roberto Martinez when we outclassed the rest of the division, playing beautiful football which nobody had ever seen at that level before. It was a great season to be a Swansea fan and that result was one of many where we could have easily scored more than four. Even though that team was playing in League One, it would easily beat the current Swansea team. Tack för ett fantastiskt jobb med sidan!! God jul! Kul att du fortfarande hänger med efter alla år!